In recent weeks, the call for greater transparency has become more salient. In a month or so, Singapore’s financial institutions will have to sound off high-risk accounts that they suspect to be willfully evading taxes. Local authorities have pledged greater cooperation with jurisdictions such as Australia, US and UK in investigating tax offences. In addition, Singapore has also committed to promote greater exchange of information between jurisdictions that are investigating tax crimes. To that end, new updates in the Income Tax Act will trump Singapore’s famed banking secrecy laws. Will this affect Singapore’s attractiveness as a financial hub? 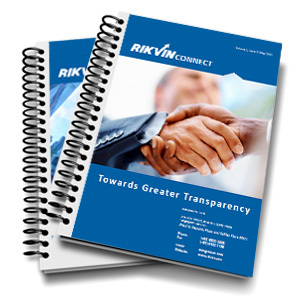 Find out more in this month’s issue of RikvinConnect. Need Help with Drafting a Document? Why Open a Singapore Holding Company? Employment Pass Framework to be Tweaked Again!